The smart customer knows where to go to save a buck without sacrificing quality, and PriceLine and Hotwire are fast proving to be some of the most viable choices for booking hotels. You could certainly save a bundle by going with either one, but they do have some differences that may cause you to favor one over the other, and here we present some of the most important ones. Both services essentially allow you to custom order your hotel room, although you will not be able to ask for a specific hotel. With PriceLine, you will be given the chance to bid for a room that conforms to your specifications and you will be informed of the appropriate hotel if you have the winning bid.With Hotwire on the other hand, the actual prices of the hotel are displayed, with no bidding allowed/necessary. While this may seem a bit restrictive when compared to PriceLine’s model, it is offset somewhat by Hotwire’s guarantee (more below). 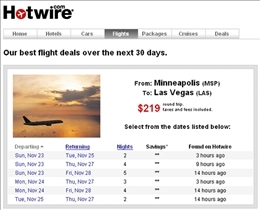 PriceLine is generally a bit cheaper than Hotwire, although the costs of both tend to varysomewhat depending on the season, or if there are local events being held in your destination. 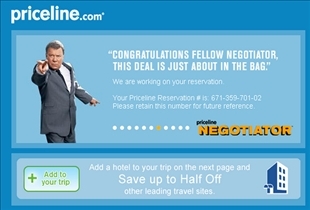 PriceLine does have the advantage of allowing you to bid on your hotel. If you find a room that you like on Hotwire for instance, you could look for a similar room on PriceLine and possibly get it for a much lower price.Interestingly enough, both Hotwire and PriceLine offer a guarantee for the lowest price. The deadline for finding a better-priced room is a bit short to be sure, although it is certainly a welcome offer anyway. Hotwire also offers a double the difference guarantee if you find a similar room at a lower rate. For car rental services, PriceLine and Hotwire both rely on reputable companies such as Avis and Hertz. The prices of car rentals do tend to vary from season to season, so you may want to compare prices before leaving on your trip. Both companies are also affiliated with airlines such as American, Delta, and United.In terms of hotel affiliations, PriceLine has the edge over Hotwire, with more cities serviced and more hotels offered. This gives you more opportunities for lower rates. Which site fetches better hotels?